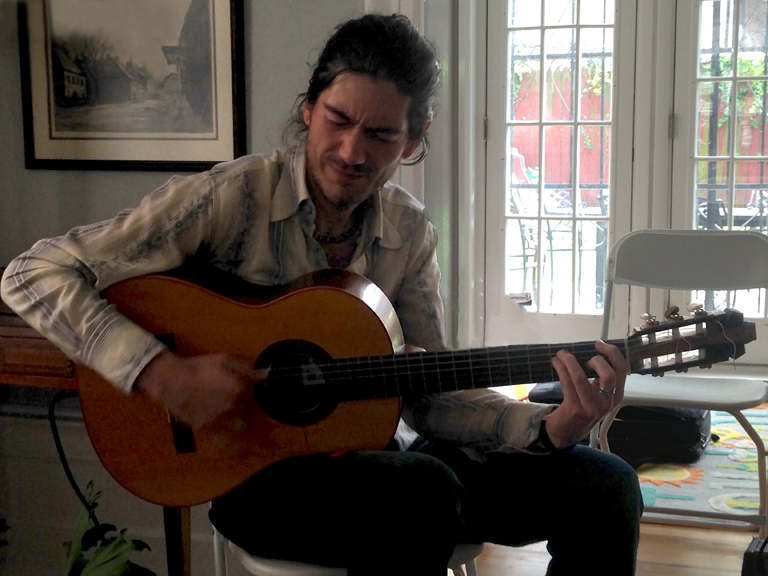 Guitarist Andreas Arnold performed original music bridging Flamenco and jazz from his latest album release, Ojos Cerrados. The performance featured Epi Lopez on percussion. A special thank you to Maple Street landmark home for hosting the event. An intimate musical performance by Andreas Arnold at Maple Street landmark home, May 20, 2018.